Guided tour of the city - Antigone (the new city) : You will discover the Antigone quartier, designed in a neo-classical style by the famous Catalan architect Ricardo Bofill. 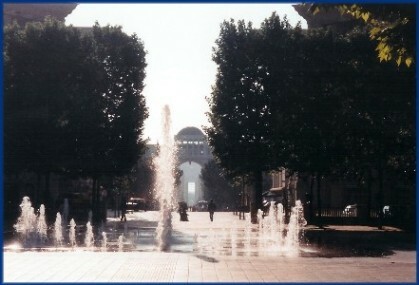 You will see the Olympic swimming pool, the new National Library, the new "Arc de Triomphe" etc. You will discover the charm of the private mansion houses. These magnificent buildings were constructed in the 17th and 18th century by rich families. There are more than 250 of those houses in the historic centre of Montpellier. Visit to the Planetarium: Equipped with the latest technology, the planetarium will take you on a virtual, intergalactic journey in its dome offering a 15 meter wide screen. The 3D images will show you the astronomical phonemes. Excursion to Carcassonne, France's iconic Medieval walled city is entirely enclosed by its medieval fortress. 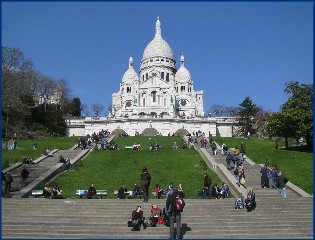 The city is one of France's top tourist destination, with its exotic feel. Contact us for further information and bookings! deceptive simplicity of myths, a sort of picture-book obviousness. Each one is a concentrate of the hypothetical knowledge and dreams conjured up by the fabulous name of America".